How was your weekend? On Saturday, Trey and I went and took a concealed cary class! Then just spent the weekend together! It was much needed after this past week at work! I need another vacation!! (haha) I wish weekends lasted longer! Anyway, how about this dress?? 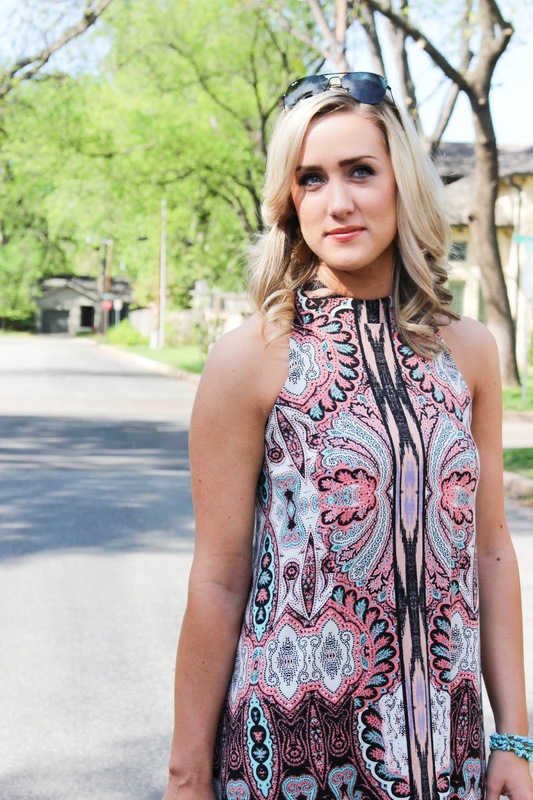 I love the mock neck and the print AND the colors! It really is the perfect little dress for summer! It is also one of those dresses you can easily dress up or down! Okay, I DO realize I have been posting a lot of things from Target lately, but they have so much new cute stuff out! I think I am about done with posting all of my new Target purchases though, haha.